This Blog is to Inform, to Discuss, and to Show/Provide as Truthful of an Accurate Awareness Documentarily of what has been and is happening in N'dakinna (Vermont, N.H. etc), by those claiming to be Allegedly Vermont or New Hampshire Abenaki, etc. Now for most folks, someone claiming or implying that they are of "Abenaki" descent probably wouldn't even raise an eyebrow, let alone bring a question to the mind ... but, I am not your 'Average Gullible Joe' out there, believing everything I read in a newspaper, online article ... let alone a blog. Not even this blog that I have constructed 😊 Look at the OBJECTIVE EVIDENCE not the subjective "evidence" ... go out and VALIDATE what I am sharing IN this blog. "I am living proof of the failure of assimilation and the success of resilience by my Abenaki ancestors"
"... exuded pride in her Abenaki heritage." What she sounds like is that she's oozing pride in her "Abenaki heritage" self-identity. But wait ... (wait for it ...) how can she exude pride in her Abenaki heritage, and not exude pride in her Irish or French Quebec heritage as well? What happened to those ancestors? First of all, NO WHERE in this December 2018 article (nor the one in the 2015) does Regina ever disclose BY NAME which ancestor she descends from, who she implies and claims was an Abenaki. 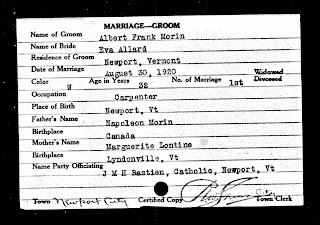 What COMMUNITY did this ancestor whose was allegedly Abenaki, come from? Etc. SO I began to seek out WHO were Regina's father and mother. To do this I had to find obituary's of their parents (or her great-grandparents) online. First there was Mary Frances (nee: Murnane) Vogel, age 86 years, Monday, who passed away November 13, 2006. 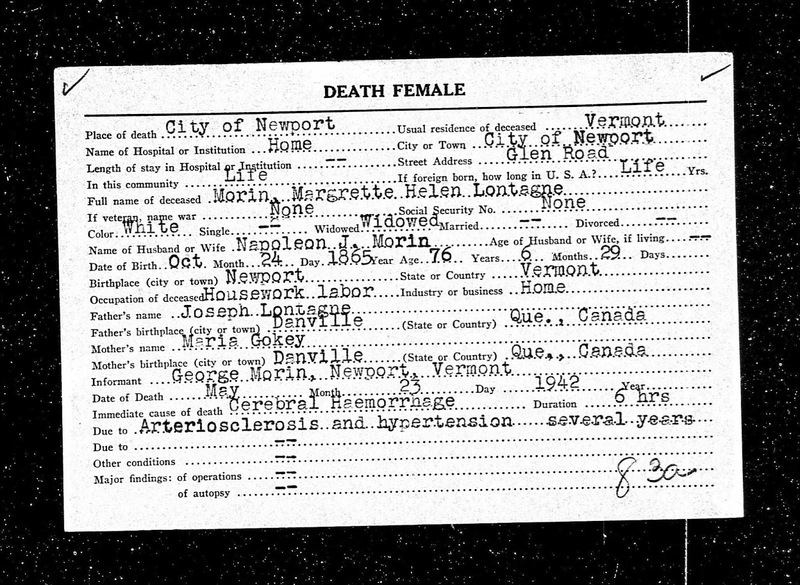 And therein the obituary stated "Survived by children, John Vogel, Mary (Jim) Paisley, Joseph (Jeannette) Vogel, Ann Bush, Barbara (Marc) Morin, Therese (Manuel) Pace, Irene (Drew) Tyack, Jean (Gary) Sephel; grandchildren, Andrew (Christen) and Justin Vogel, Chris and Kevin Paisley, Rachel, Renee and Ryan Vogel, Corey and Kelly Bush, Nigel and Regina Morin, Daniel, Katie and Joe Pace, Michelle Tyack, Molly and Jack Sephel; numerous nieces, nephews, relatives and friends." 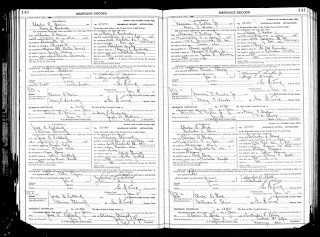 So there we have our first genealogical 'footprint' ... Mary Frances (Munane) Vogel, married to Richard Charles Vogel, has a daughter Barabra A. Vogel, who then married to Mark E. Morin on November 16, 1974 in Columbus, Franklin County, Ohio. 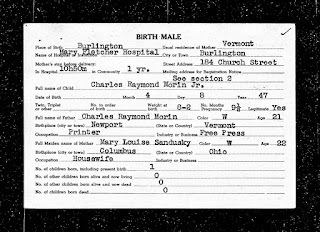 Then I sought out "Marc" Morin's parentage: That being Charles Raymond Morin, and his wife Mary Louise (nee: Sandusky). How do I know this? 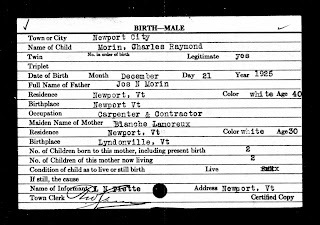 Because Mark's brother Charles Raymond Morin Jr. passed away and had an obituary as well. Charles R. Morin, Jr., P.E., founding partner of Engineering Systems, Inc. in Aurora, IL, died peacefully at his home on February 02, 2008, at the age of 60. 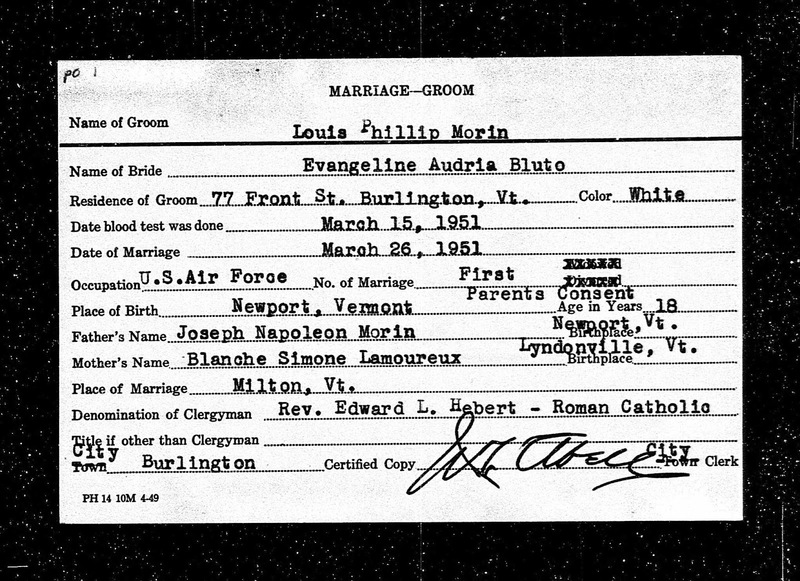 "His siblings: Kandi (Steve) Smith and Marc (Barbara) Morin, all of the Columbus, OH area." 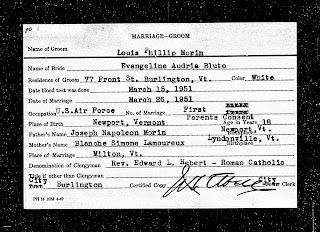 And from that point genealogically-speaking I simply sought out Regina's paternal ancestors first, and then began mapping out her maternal ancestors as well. 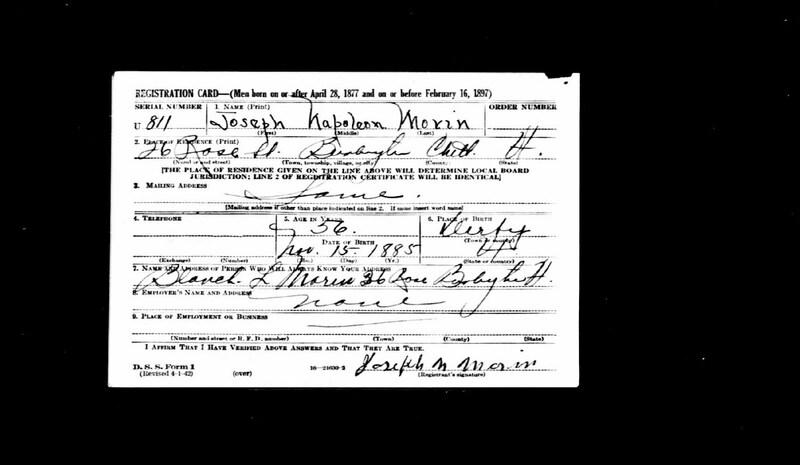 As you can see and review, the Marc (or Mark) E. Morin ancestry were identified and identifying as WHITE (not as Indians, and not as "Abenakis"). 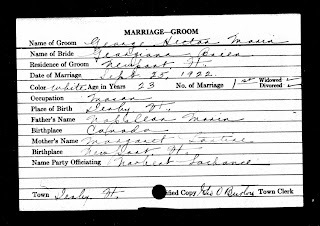 Repeatedly, the Federal Census Records for Regina's ancestors and her direct ancestors descendants were identifying as either French, Irish, or White. 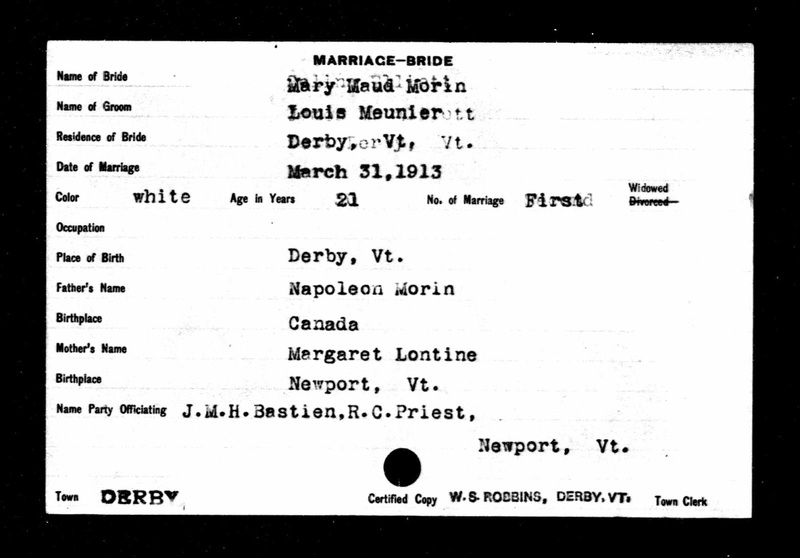 Paternally-speaking, the Morin ancestry goes directly back to La Seine-et-Mame, lie-de-France, France as it pertains to Marc and his daughter Regina. 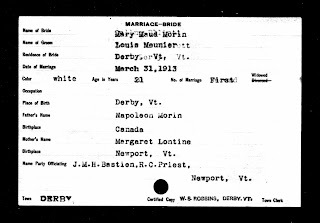 There is no surname change from some surname else wise to Morin. (Again, this is not Bowman's changing their surname from O'Bomsawin to "hide-in-plain-sight" to avoid discrimination or because they were "too afraid" to identify themselves as Abenakis, or Indians etc.). 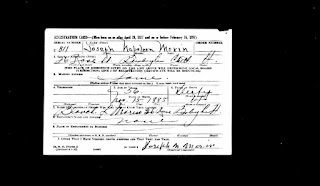 So what is the basis for Regina (Morin) Prince's claim that her father's paternal ancestors changing their name to Morin. 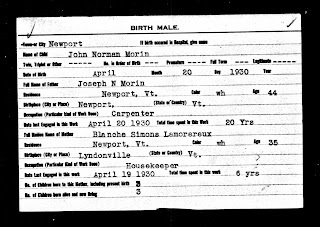 THEY'RE ANCESTORS WERE ALWAYS MORIN straight off the coast of France, into the port in 'Nouvelle-France' ... right down to Marc Morin in Columbus, Franklin County, Ohio. The latter of whom, according to Regina his daughter, made her aware of their alleged "Abenaki" identity. 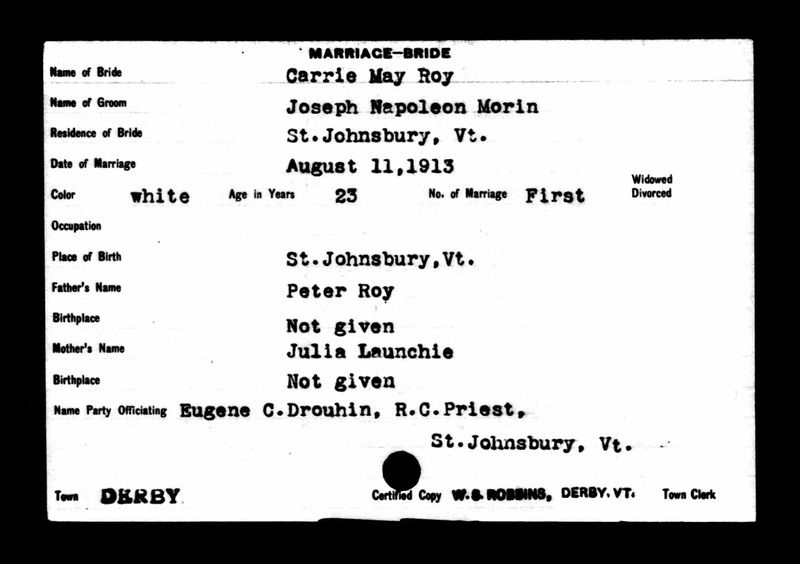 Regina Morin - Prince does in fact benefit from white privilege, because she has appropriated an Abenaki identity, not based on genealogical fact and truth, but merely on beliefs and perceptions passed on to her, by her own father. When she claims she is navigating expectations inside and outside of the community, one must ask WHAT COMMUNITY? When she says she is being careful not to appear as if she is representing the Abenaki, how come she CAN'T or WON'T DECLARE WHO HOW WHEN WHY of her alleged Abenaki ancestor, that she claims to be Abenaki herself. It would appear from the December 2018 article that she simply reviewed what was online, about the "Abenaki" of Vermont and New Hampshire etc. and simply 'ran with it' without so much as a question as to the website/web page's content's accuracy. 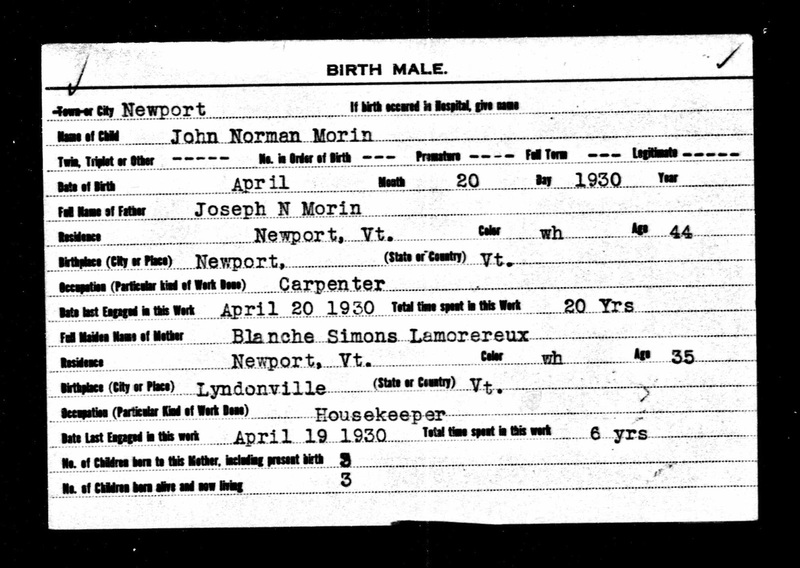 MYTH: The Vermont Eugenic's SURVEY of Vermont sterilized Abenakis. Regina (Morin) Prince claims she had relatives who were castrated and who were forced to have abortions. 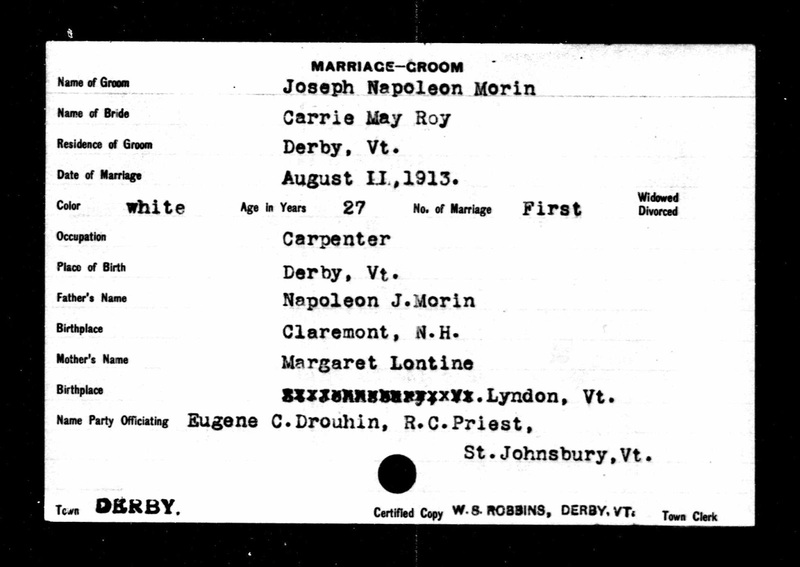 Which ancestors of Regina Morin were identified in the V.E.S. (?) Her grandmother's grandmother's sister's brother's son (?) 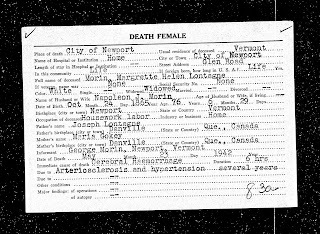 If so, what does that have to do with Regina or her direct ancestors, them allegedly being mentioned in the Eugenic's SURVEY of Vermont? 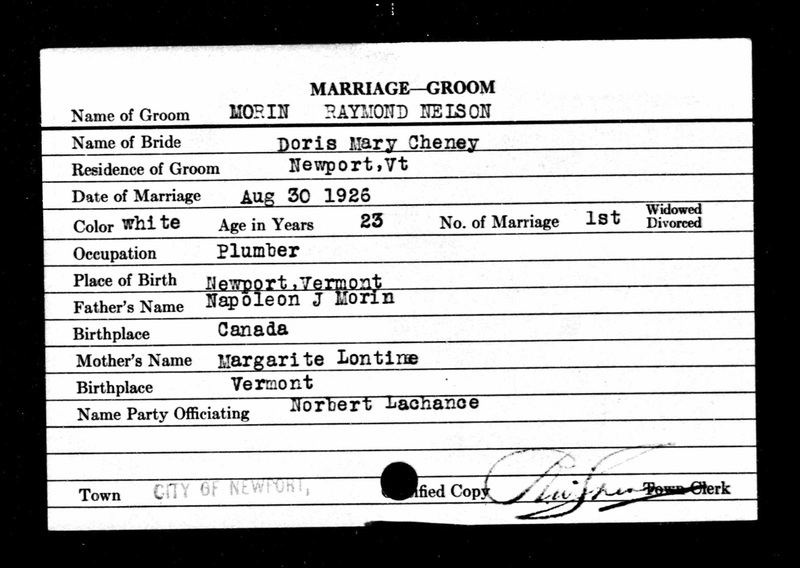 Secondly, how does Regina (nee: Morin) Prince KNOW which relatives were sterilized or had forced abortions? 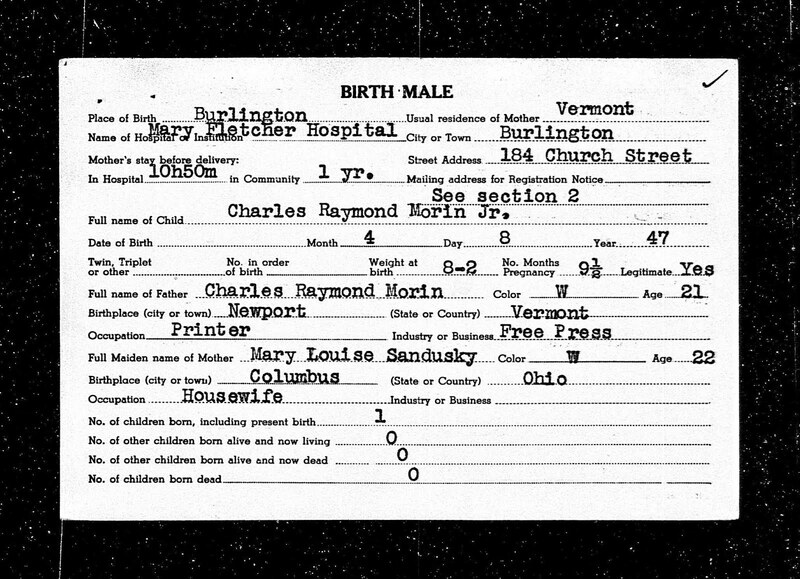 The Eugenic's SURVEY of VT boxes DO NOT contain HIPPA protected medical data such as sterilizations, because the Eugenic's SURVEY was not doing the sterilizations or the abortions, as Regina and these "Abenakis" proclaim and perpetuate their myth making around these records. 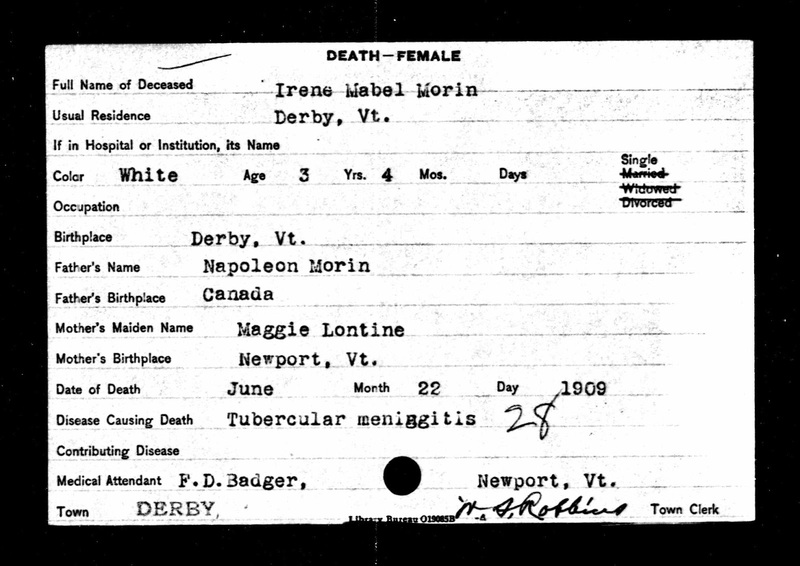 It was the MEDICAL INSTITUTIONS that were doing the sterilizations, and as such, those records were NEVER PART OF THE VT EUGENICS RECORDS. All anyone knows is that (quote) the sterilization of 253 UNNAMED PERSONS. All we have is the number of people sterilized, and most certainly not those persons ethnicity backgrounds, nor the reason(s) why they were sterilized. 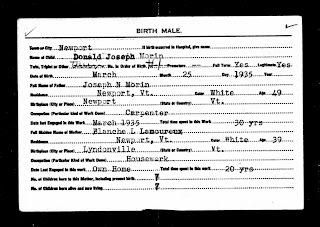 So for anyone to claim that the Vermont Eugenics SURVEY had sterilized or forced an abortion on an Abenaki person is just plain old MYTH-MAKING nonsense perpetuated since 1986 started by Homer Walter St. Francis Sr. and his side-kick allies like John Scott Moody, and their allies/ supporters. Again, this is about objective evidence vs. their subjective unsubstantiated claims and assertions. Claiming she is 'a woman of color' was a puzzlement to me, considering that none of her ancestors were of color i.e. 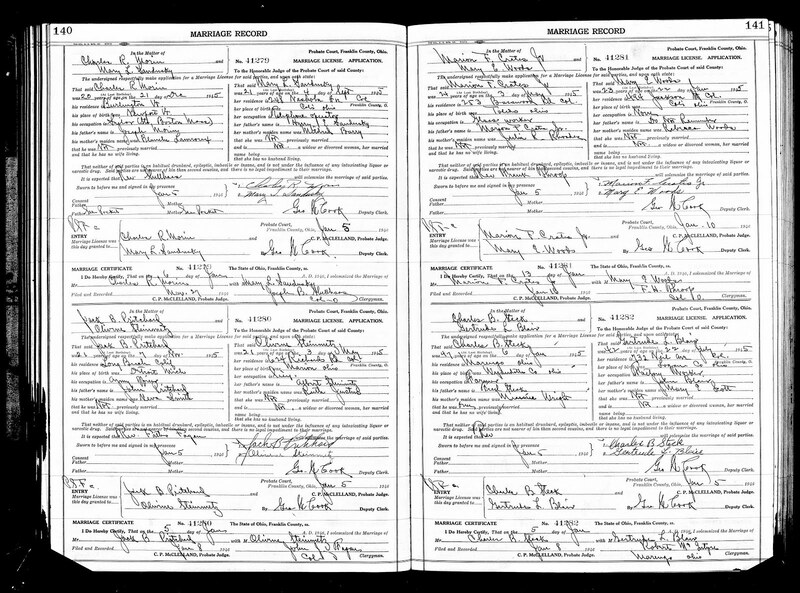 African American or Native American, so for her to feel shame in "not feeling Native enough" was a paradoxical puzzlement for my mind, reading the December 2018 article again, in comparative to her genealogical ancestry. So she wants to start an 'indigenous women's group and non-binary support group' within Zora's House (?) so she says ... and who will be writing the grants etc funding this adventure? Would the funding be because Regina (Morin) Prince, as Zora House's Ambassador who SELF-IDENTIFIES as an Abenaki woman? Playing the victim of genocidal past historical wrongs, discrimination, etc? 9. 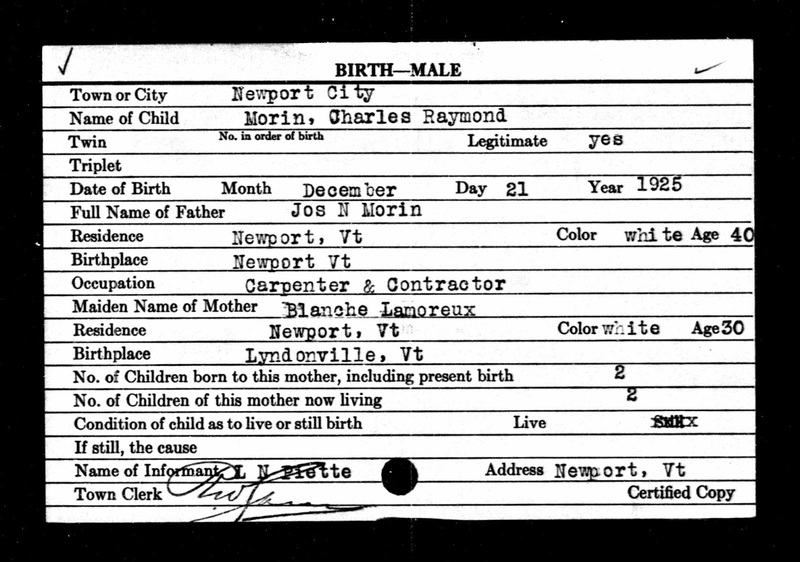 Charles Raymond Morin Sr.
Claude-Mathias Fanef was born "Matthias Farnsworth", at Groton, Massachusetts, on August 6, 1690 (old style calendar in use then in New England). He was the sixth child of Matthias Farnsworth (Matthias II) and Sarah Nutting, BOTH ENGLISH PERSONS from England who got married at Groton, Massachusetts on March 01, 1681. When the young Matthias III was captured by the Indians allied to the French, he and thirteen other men were reaping in a field at Groton, Massachusetts. The Mohawk Indians who captured him on August 11, 1704 (Gregorian calendar), brought him to Montréal, more precisely in their tribe of Sault-au-Récollet. Matthias stayed captive of the Indians at the Sault until the end of 1705 or early in 1706. He was then bought by the Sulpician's, in fact by Sir François Vachon de Belmont and he was baptized on January 10, 1706. His godfather was Governor Claude de Ramezay (origin of Claude added to his first name) and his godmother, Elisabeth Souart, wife of Charles Lemoyne sieur de Longueuil. 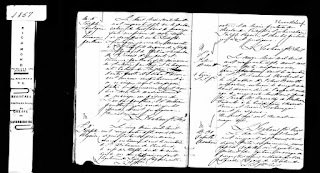 It is only in 1755 that Claud-Mathias's surname was spelled "Phaneuf" for the first time in the registers of Pointe-aux-Trembles. 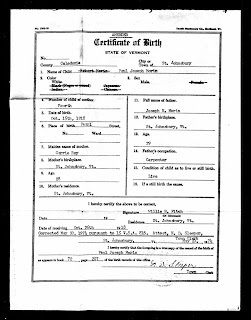 Claude-Mathias asked for his naturalization on October 30, 1706. He will obtain it in May 1710. He worked for the Sulpicians until around 1711. In acknowledgment for his services, he obtained from Sir de Belmont a valuable estate at Rivière-des-Prairies, including land, house and farm buildings, on July 19, 1711. October 2, 1713, is a great day for Claude-Mathias, he got married to the girl of his neighbor, Catherine Charpentier. They lived happily at Rivière-des-Prairies where they brought up ten of their twelve children (two boys died at a very young age). The ten children got married and gave them a total of 115 grandchildren (110 were born before the death of Claude-Mathias). The "Fanef" name was assured by six boys. Joseph settled in Ste. Rose, while the others, Claude, François, Jean-Baptiste, Paul and Pierre, settled successively in St-Antoine-sur-Richelieu. The four girls settled in Ste. Rose. As it was the case for their ancestors, they were pioneers of these villages. When their children were brought up, being lonely, near the end of their life, Catherine and Mathias joined their sons in Ste. Antoine. 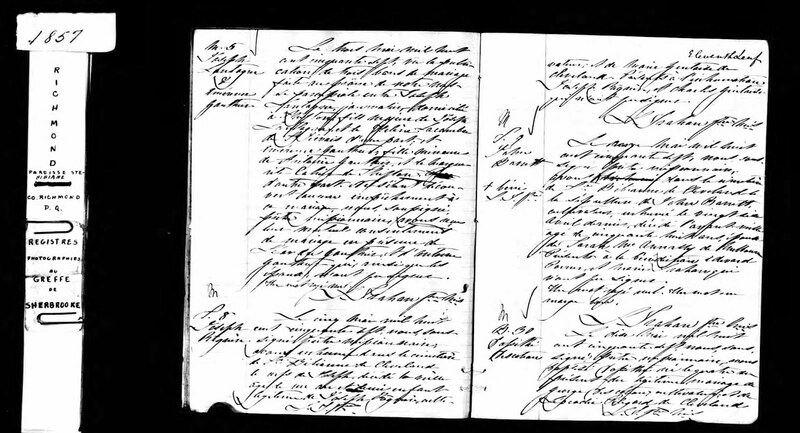 According to the 1765 census, they were probably living with Jean-Baptiste family. Mathias died on August 08, 1773 at the age of 83, and Catherine on June 29, 1777, probably at the age of 85 years. They were both buried in Saint-Antoine-sur-Richelieu. Today we find their descendants not only in Québec, but also in other provinces of Canada, as well as in the United States and Europe. 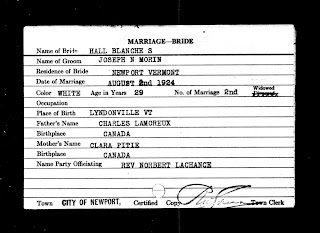 And of those Farnsworth - Phaneuf descendants we find Regina (Morin) Prince and her father Marc Morin. It is 507 days from the start date to the end date, but not including the end date. Or 1 year, 4 months, 20 days excluding the end date. Or 16 months, 20 days excluding the end date. 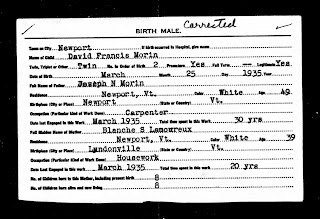 So that is 507 days (approximately-speaking) that Claud-Mathias Farnsworth spent in captivity with the Indians (very likely MOHAWKS ... not Abenakis) within the St. François-Xavier-du-Sault and the modern Caughnawaga geographical area, near Montreal. 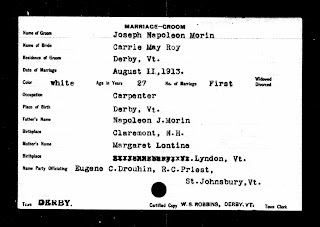 So ... still a wee bit curious on my end, I decided to reach out to Regina (Morin) Prince through the social media website Face Book this early morning after completing the mapping of her genealogical background. The reason I am inquiring is that I have these person(s) in my database on Abenaki research and I am looking into these ancestors of yours (if I have your grandparents on both sides correct?). I would like to confirm that these people are your grandparents Regina, before going further. Hi Douglas, may I ask what the purpose/goal of the research you are doing? You claimed in the article that you are of Abenaki descent and I got curious as to who that might be in your ancestry Regina. 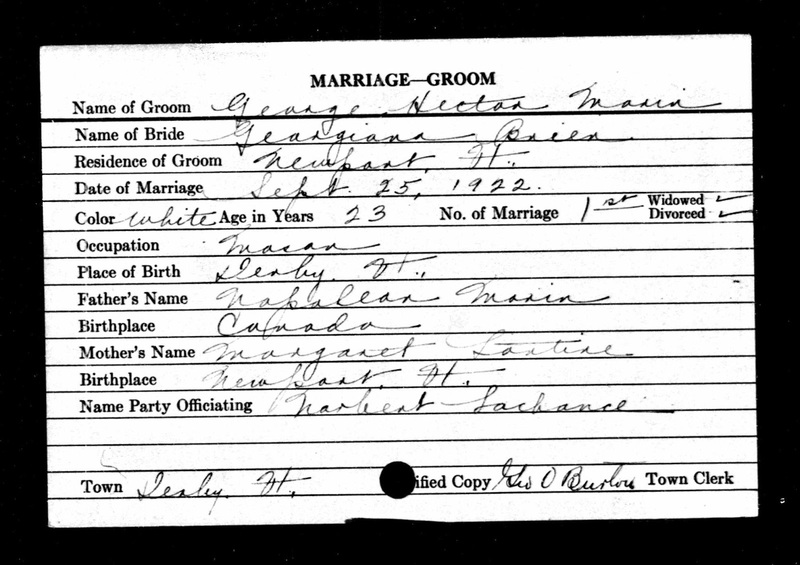 So could you please enlighten me as to who that ancestor is? Please and thank you. Regina (Morin) Prince: That doesn’t quite answer my question. What is your Abenaki research and database? Douglas Lloyd Buchholz: My research is of the Abenaki and my database is historical genealogical and social data on the Abenaki. It is that simple. 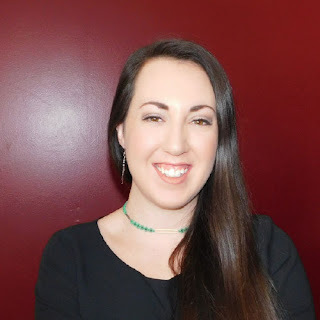 Regina (Morin) Prince: What specifically about the Abenaki? Is it just a hobby of yours? Douglas Lloyd Buchholz: Everything about the Abenaki ... and no, not a hobby, Rather it’s an endeavor. Who is the Abenaki ancestor you claim? Regina (Morin) Prince: Are you Abenaki? Douglas Lloyd Buchholz: It is an interesting endeavor indeed. Douglas Lloyd Buchholz: My ancestors said as such. Regina (Morin) Prince: And with your blog and organization or whatever it is you run, is your goal to prove that others are not? Douglas Lloyd Buchholz: No that‘s not my goal. My interest is purely looking for truth; Objective evidence; Comparatives, etc. Douglas Lloyd Buchholz: Ok I see that you cannot answer my question yet that you like asking questions. Thank you for your time Regina. Regina (Morin) Prince: It’s interesting you can ask me questions but you cannot answer all of mine. No problem. Douglas Lloyd Buchholz: Oh so now you like to ‘gaslight’ … ‘Projecting’ if you will. Regina (Morin) Prince: I’m not gas-lighting, you asked me a question and I would like some clarification before answering. It kind of feels the other way around to me? 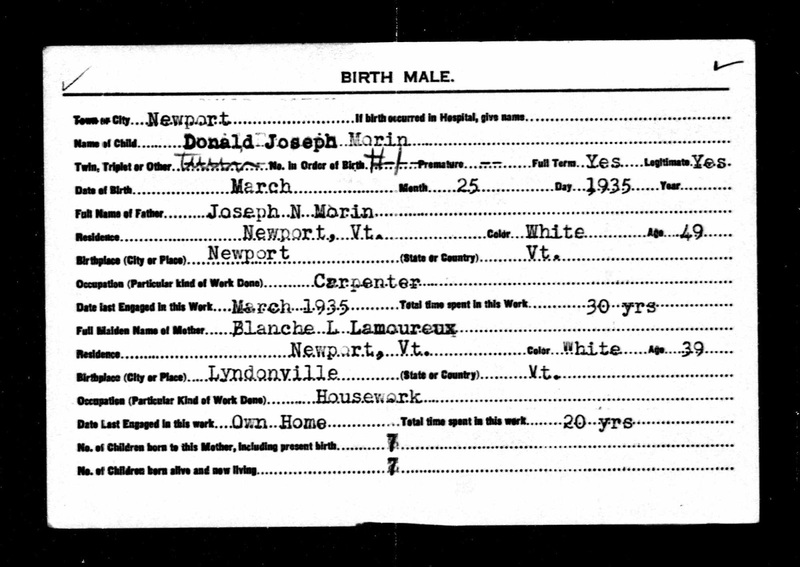 Douglas Lloyd Buchholz: So who is the Abenaki in your ancestry? It’s a very simple question. Regina (Morin) Prince: So is mine? Douglas Lloyd Buchholz: Again answering a question with a question … is a non-answer. Regina (Morin) Prince: I’m not saying I gave you an answer? I am very aware I haven’t answered your question yet. Like I said, I wanted clarification before answering yours. Douglas Lloyd Buchholz: And you have only asked questions Regina. You can clearly read the blog. So you obviously know who I am … of a sort. You claim you are Abenaki. So who is the Abenaki ancestor in your ancestry? Or is that some sort of cult secret? Regina (Morin) Prince: I really don’t know who you are. Regina (Morin) Prince: I don’t know; you said I obviously know who you are and I don’t. Regina (Morin) Prince: Well if you already mapped me completely then don’t you already have an answer you’re seeking? Douglas Lloyd Buchholz: But yet again you are evading the initial question I asked. 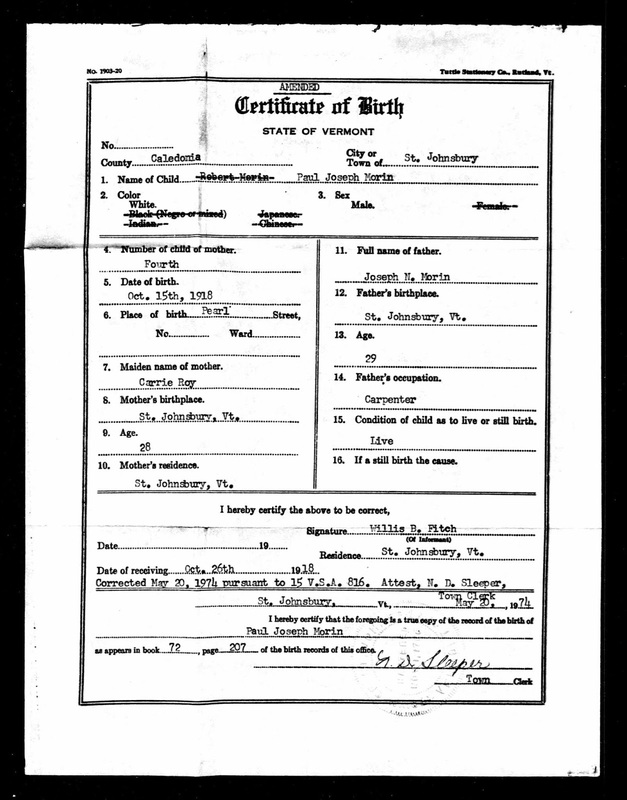 So all I can surmise is you have made a claim that is subjective … and not genealogically objective. It’s something you heard or were told … and you ran with it. Again thank you for your time Regina. Anyway back to research here. I’m not going to give in an answer to your question. I am not going to validate myself through you. I don’t need to prove myself to you and your research, hobby, whatever you want to call it. Good luck with your blog and any insecurity you are having with yourself or your identity. I really do wish you the best, no lighting of gas lamps. Douglas Lloyd Buchholz: It was nice chatting with you. Regina (Morin) Prince then proceeded to immediately block any further communication between us on Face Book. Obviously, Regina merely has to look in the mirror, click her red slipper shoes, and wish she were an Abenaki or a 'woman-of-color' ... because all it is as to her self-identity "Abenaki" persona ... is wishful thinking on her part. 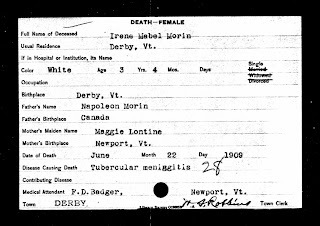 NONE of these photographs nor the genealogical research of this Regina (nee: Morin) Prince MAKES HER an "Abenaki" whatsoever. 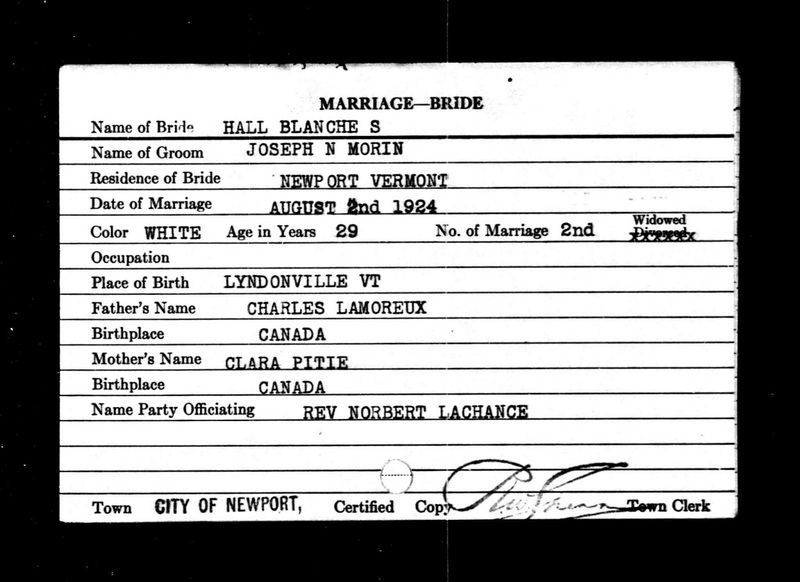 Just because her ancestor Claud-Mathias Farnsworth - Phaneuf was taken from Massachusetts into Quebec, Canada 1704-1705 doesn't MAKE any of his descendants (including her father) "Abenakis" either. So she wanted to know what the purpose/goal of the research I am doing? Answer: She ought to look in the mirror and see her FAKE ABENAKI reflection starring back at her. She's just another person who self-identifies as "an Abenaki" because its easy to do; and she probably most likely concluded that no one would dare question or ASK HER who that Abenaki ancestor was/is in her ancestry. Perhaps LC Johnson ought to have asked that very question of her Zora House Ambassador BEFORE the issuance of that December 05, 2018 article. Or perhaps the ACLU should have asked that same question in October 2015 of Regina Morin. ... yep probably just another alleged real "genuine" card holding Nulhegan "Abenaki" ... just like Paul Rene Tamburro with all of his 5-6 membership cards in varied groups "tribes" etc. (Paul is Regina's friend on Face Book). One cannot TRUTHFULLY have Abenaki heritage without having the genealogical connections to the Abenaki, UNLESS one is appropriating the culture of the Abenaki, of which honestly does not belong in one's hands. 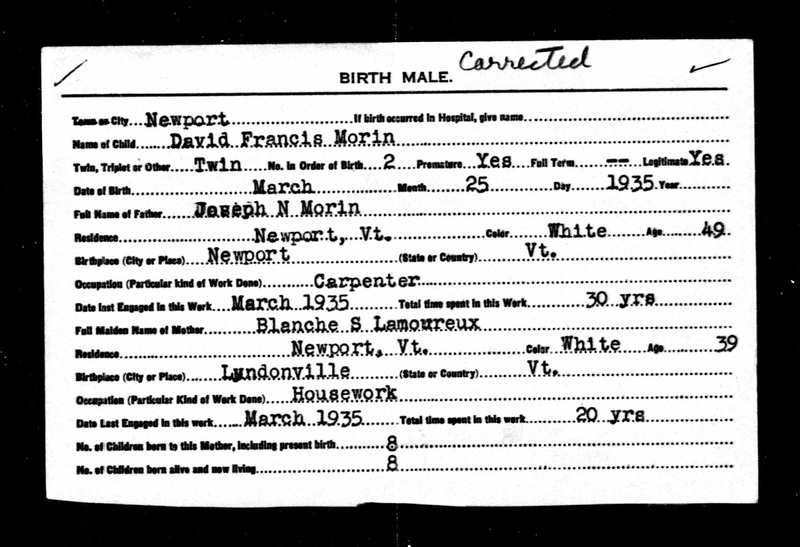 CONCLUSION: Regina (Morin) Prince is an Abenaki Identity/ heritage appropriator, who moves in her self-identifying "Abenaki" persona, because of her white privilege; and she's benefiting from that white privilege, by claiming to be descendant of "Abenaki" ancestry ... when in reality, that alleged ancestor was never there to begin with in her ancestry. 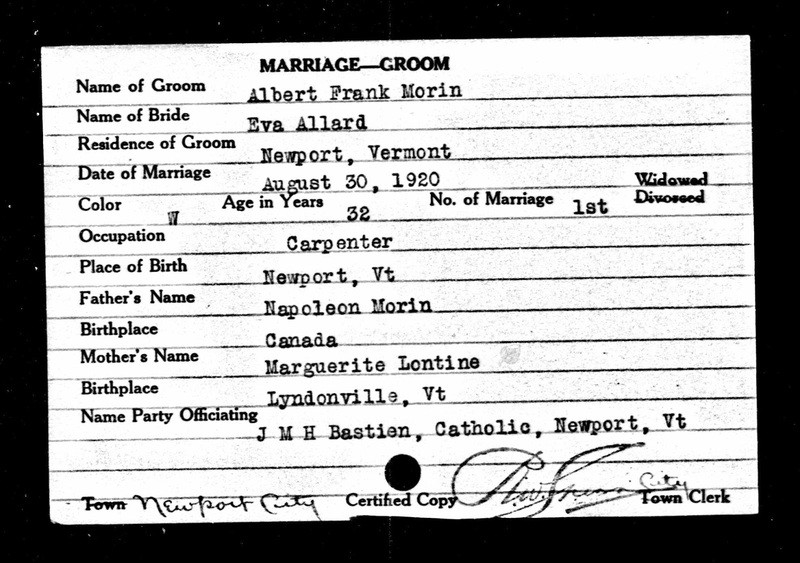 Or else she would not have hesitated to NAME her "Abenaki" Ancestor, (even to me), when I kindly inquired. Real Abenaki People are not part of some 'Secret DON'T ASK, DON'T TELL Cult'. WHO'SE YOUR ABENAKI ANCESTOR(S) ? 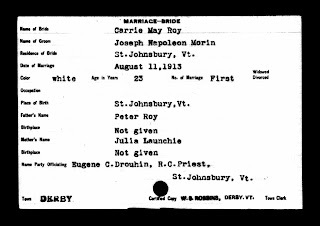 BY NAME AND DISTANCE GENEALOGICALLY? WHAT NATIVE COMMUNITY DO YOU COME FROM? WHEN DID THAT COMMUNITY ORIGINATE? Copyright © 2009 - 2018 The Reinvention of the Alleged Vermont and New Hampshire Abenaki. All Rights Reserved. No individual, nonprofit organization, or commercial business may use any part, any documents or commentary, of this blog for any reason whatsoever in any media or format without first obtaining the notarized written permission from the author, Douglas Lloyd Buchholz. Please note - - - this blog content and commentary is copyrighted material. No one has permission to copy any material from this blog, e-mail it to others, or post it on their web sites UNLESS that person obtains written authorization from Douglas Lloyd Buchholz. If you want others to see it, it is encouraged that you share a LINK to this content and or commentary. To do anything more, is a violation of Federal Copyright Laws! ~ Thank you.